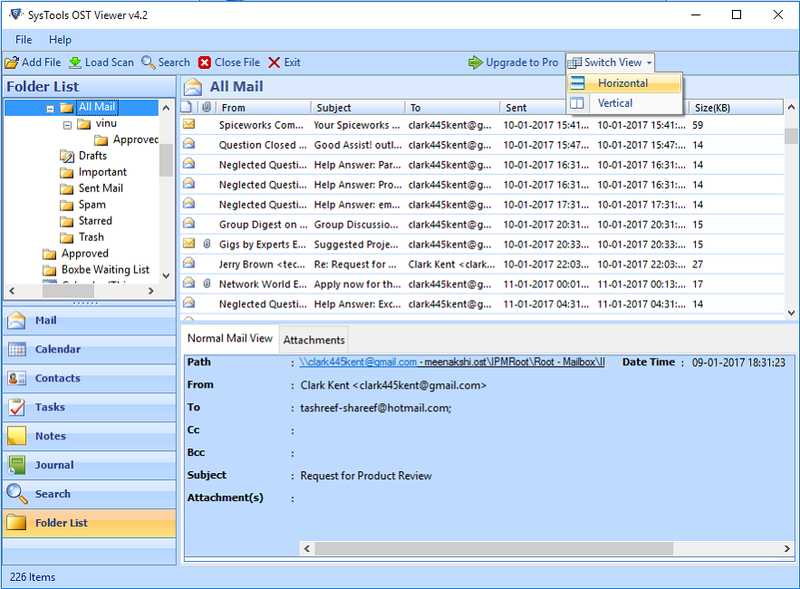 This OST Viewer Open Source helps the user to read OST files in batch, including emails and other components. The tool will generate the preview of all messages with components like: from, to, Sent, received, date on which email is sent and size in bytes. 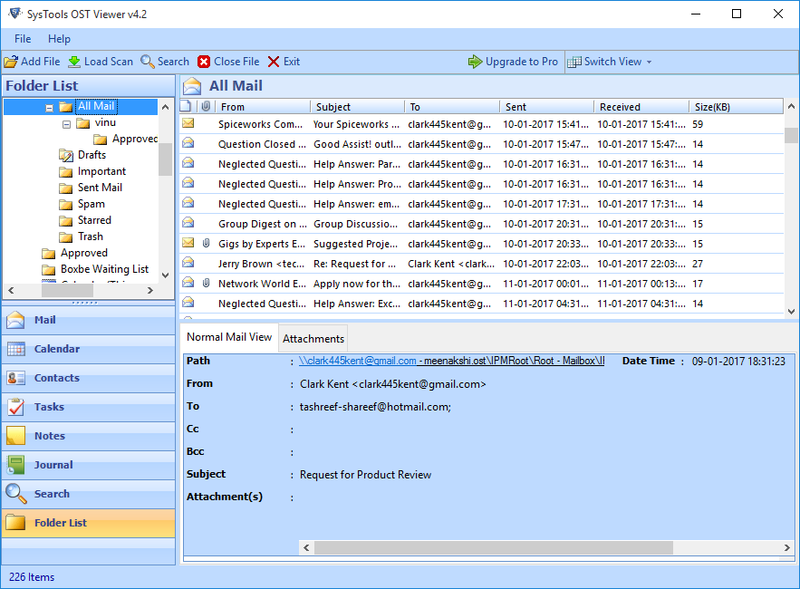 OST File Reader enables the user to view attachments associated with each mail within in-built viewer. The software facilitates the user to open OST file attachments like: images, files, documents etc. Also, users can open open Calendars, Notes, Tasks & Journals by this tool. The OST viewer permits the user to View and Open OST file content in optimized way without displaying any crash report. Also, User can change the location of temp folder (of software) from installation drive (C drive) to unused space of drive. It helps in reduction of main memory consumption. OST Viewer provides Advanced scan mode to recover deleted items from OST file. Item count of each folder and sub-folder of desired OST file. The software generates the preview of OST files in batch. Pre-installation of Outlook & MS Exchange Server is not required to open OST file. Compatible with all version of Windows OS and Microsoft Outlook. 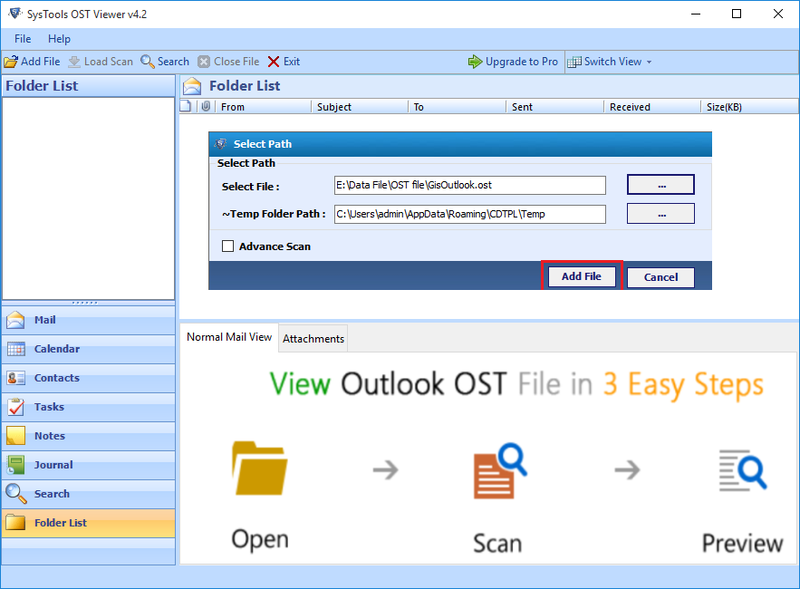 How can I read OST Files without Outlook by this OST File Viewer? Is your OST file Reader compatible with Windows 10 machine? Yes, the software will run successfully on Windows 10 machine and its below version like 8,8.1 etc. 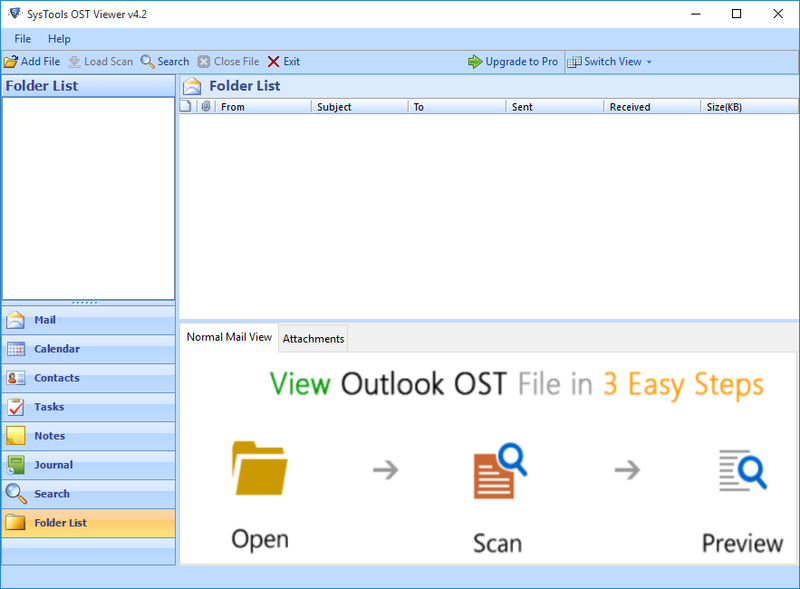 Also, this OST viewer is compatible with all the versions of Microsoft Outlook to open OST file. What is the maximum size of the OST file that the OST file opener can process? There is no limitation on file size or number of emails, the tool will process and open OST file of any size depending upon your choice. Can I open dismounted OST File with this free OST Viewer tool? Yes, orphan or dismounted file can be opened using OST file reader. Moreover, no server environment is required for working with this software. Does your software able to read and open OST file which is Corrupted or damaged? Yes, this OST Viewer software facilitates the user to view OST file which is corrupted or damaged. Doesn’t matter the corruption is major or minor, you can easily open and read OST files with this tool. Would I be able to recover my deleted items from OST file using this tool? Yes, a feature called “Advanced scan mode” is provided by OST Viewer that helps you to retrieve deleted data and open OST file safely. What Client Says About OST File Reader Tool? "A few weeks ago, I was unable to view OST file without Outlook in my system. Though, I heard about many third party software but, I do not want to take any risk. Then one of my friend told me about your OST File reader. After his suggestion, I used this tool to read OST files. This is very effective and speedy. Thanks to your software team." "The best feature of this OST Viewer software is that it is designed to recover deleted data too. Plus optimized viewing option is also included in your product. I have tried much software and I never get the desired results but, this one is amazing. Seriously, any product cannot compete for its consistency, accuracy, and speed." "By mistake, I had deleted my important data from OST file. I wanted to recover it but could not find any trustworthy solution. While surfing the net, I came to know about your product OST file viewer. All the features were according to my need. I used it and the results were surprising. Thanks to your software development team."